Our Professional Team is Well Trained & have Certified Staff for Cleaning and Maintaining your Upholstery. We are Expert at Cleaning and Sealing of: Grout, Marble, Granite, Limestone and Ceramic, Porcelain Tile, Clay Tile, Slate, Concrete etc. Our yacht carpet cleaning and yacht upholstery cleaning crew are experienced, attentive, and fastidiously skilled. In and out was first founded by the Yarkony family in 2010. The vision of this family was to provide top quality cleaning services to Miami people. They are providing tile cleaning, carpet cleaning and upholstery cleaning are their main services. Carpet Cleaning Miami use the best business maximum advanced truckload with carpet cleaning machine, with a solution to get rid of soil and help you to regain your carpet’s appearance. Extra services including carpet restore, deodorizer and our stain-resistant defensive coating all are also available only In and Out steamers. We offer best and reliable carpet cleaning services for our loyal customers in FL. Carpet cleaning is as important as any other cleaning for your homes. As carpet is an important part of your homes and offices. We offer carpet cleaning services for both residential and commercial customers. We have best and well-qualified crew to deal with your carpet stains and germs that are hidden under your carpet. Upholstery Cleaning Miami are well educated and authorized upholstery cleaners. Our technicians are well known for many hard materials, which includes silk, suedes, ultra-suede, and velvet. We additionally provide deodorizer offerings in addition to our best stain-resistant shielding coating. You enhance the beauty of your homes and offices with upholstery products. But to your concern upholstery cleaning is very necessary for your home and offices maintenance. 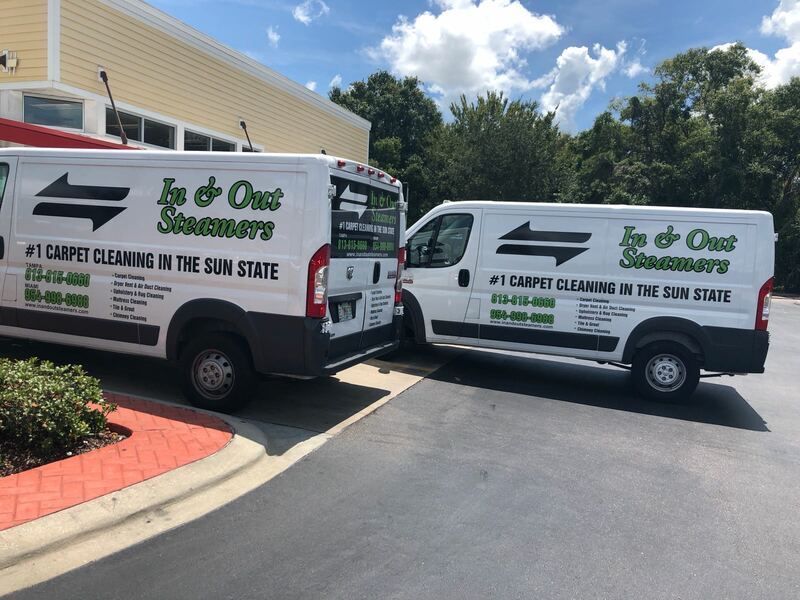 Tile Cleaning Miami Our grout cleaning and tile cleaning offerings offer a powerful truck-installed with best cleaning machine. We thoroughly clean your surfaces (consisting of floors, showers, and countertops), cleaning away dust and contaminants from your floors. And by using this mechanism, we will deal with your grout repair or grout color sealing wishes as nicely as you want. With the passage of time tiles may lose their shine and become dull due to dust and oil stick to your tiles. Mopping regularly only help you to get rid of some of the soil particles. So it is suggested to get clean your tiles and grout by professionals. When it comes to professional in Grout and Tile cleaning there is no one more professional than In and Out Steamers in Florida. In and Out steamers mainly certified air duct cleaning technicians have the best education and revel in to get rid of harmful contaminants from your home. Our specific compressor system pulls air duct pollution right into a contained filtration device. We are best in wood ground cleaning hidden dust extracts deep in the forums of timber flooring and consists of a detailed hand cleaning of hard-to-reach regions. A very last system scrub is observed by the application of a shiny top coat. In and Out steamers provide best hardwood floor cleaning service to the demand of the customer and leave no stone unturned. Like every other flooring surfaces, concrete flooring turns into dull and dirty over the years. A professional cleaning by means of In and Out Steamers concrete ground care method will bring new existence in your indoor and outdoor concrete floors! Providing the best for our customers in every field we are at number one in FL. In and Out Steamers offers 24 hours emergency and recuperation services for customers in Florida. If you’re in need of emergency and recovery offerings, just make a call at (954) 998-6988. In and Out steamers crew will be there for your assistance.. Our crew is certified and well trained to deal with every emergency condition at any time you need. Carpet Cleaning Miami use the best business maximum advanced truckload with carpet cleaning machine, with a solution to get rid of soil and help you to regain your carpet's appearance. Extra services including carpet restore, deodorizer and our stain-resistant defensive coating all are also available only In and Out steamers. We offer best and reliable carpet cleaning services for our loyal customers in FL. Carpet cleaning is as important as any other cleaning for your homes. As carpet is an important part of your homes and offices. We offer carpet cleaning services for both residential and commercial customers. We have best and well-qualified crew to deal with your carpet stains and germs that are hidden under your carpet. In and Out Steamers offers 24 hours emergency and recuperation services for customers in Florida. If you're in need of emergency and recovery offerings, just make a call at (954) 998-6988. In and Out steamers crew will be there for your assistance.. Our crew is certified and well trained to deal with every emergency condition at any time you need. Satisfaction is a priority, money comes last. We are a family owned small business and not a very big corporation that lack the time and effort to satisfy customers. We do not do any selling techniques. When you call to book a job (assuming that the customer explained the right condition of his carpet) we will give you all qoutes over the phone if asked, including all levels with no additional cost when we get to your home. If the options were not mentioned at time of booking they will be mentioned before the tech starts the job. Truckmounted Superior Equipment and best of the best Prochem Products. Same Day Service, Open Sundays.